... starring Rachel Messer at 11am in the Gym. 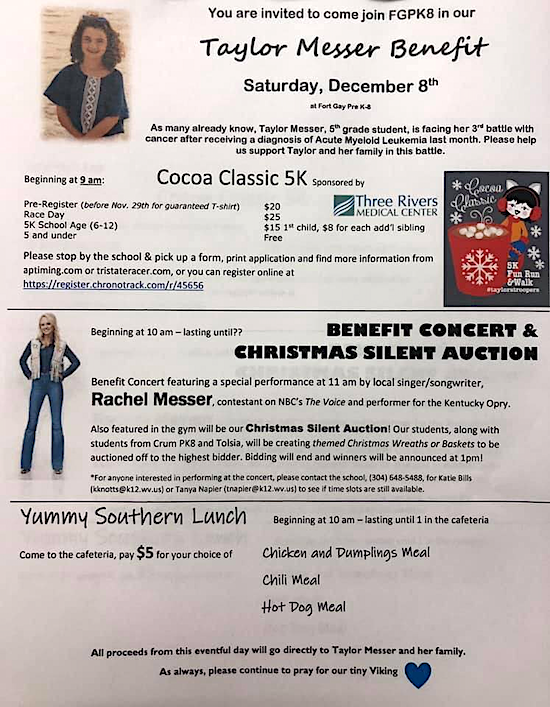 Taylor Messer Benefit will be held Sat., December 8th at the Fort Gay Pre K-8 School. 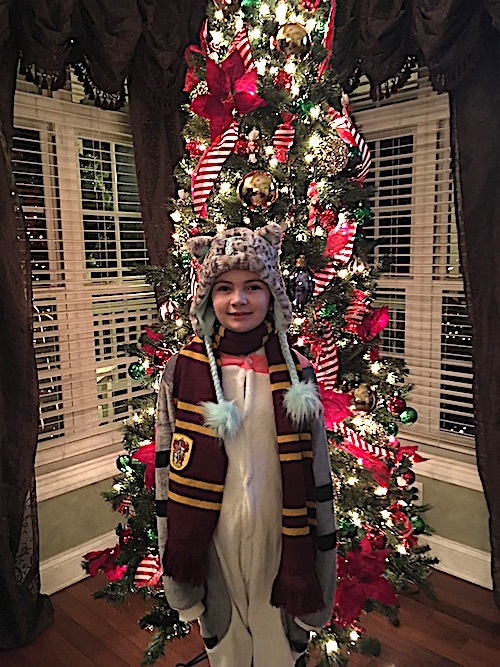 Taylor Messer a 5th grade student the community has been following with her battle against Acute Myeloid Leukemia. The Lazer has her story and are pleased to announce this wonderful fundraiser. Please help support Taylor and her family. Starting at 9am The Cocoa Classic 5K Fun, Run & Walk starts. Other Events include The Benefit Concert starting at 10am and starring Rachel Messer at 11am in the Gym. The Christmas Silent Auction will also be held in the gym. Students from Crum PK8 and Tolsia will be creating themed Christmas Wreaths or Baskets to be auditioned off to the highest bidder. Winners will be announced at 1pm. Beginning at 10am – 1pm Yummy Southern Lunch served in the cafeteria.